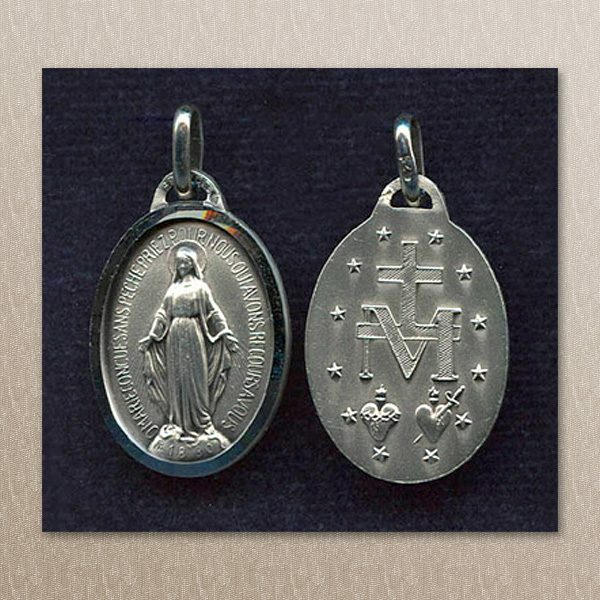 The Miraculous Medal is a sacramental, a holy item blessed by the Church to give grace. It was given by the Mother of God through St.Catherine Laboure with the instruction that this devotion be spread throughout the Church. The inscription, “O Mary conceived without sin, pray for us who have recourse to thee”, anticipated the definition of the Immaculate Conception by nearly a quarter of a century. The Miraculous Medal’s official title is the “Medal of the Immaculate Conception”; however, it quickly gained its popular title because of the numerous miracles that were reported by its devout use. “7/8” Sterling silver Medal. Imported from France. Words of the medal in the original French. 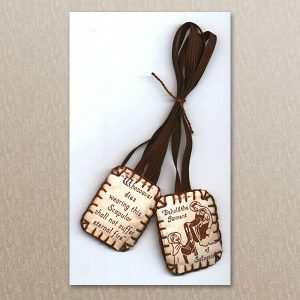 The most authentic rendition of the medal requested by Our Lady.